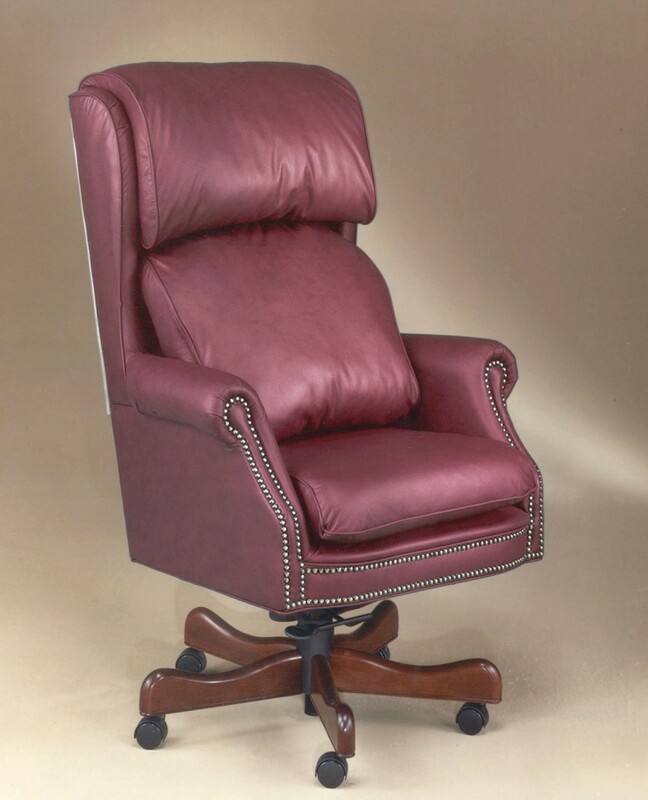 Best THE CEO office chair by Best Home Furnishings is extra-comfortable and supportive. It features a 360-swivel, five-star base in Distressed Pecan, Dark Oak, Dark Cherry or Black finishes with rolling wheels for easy movement on carpet and hardwood floors. The ultra simple height adjustment allows the chair to fit you and your desk just right, and the adjustable knee tilt tension control adds added comfort. The dry-kilned hardwood frames, reinforced joints, and luxurious leather with a supple hand will provide years of comfort and durability. Made in the USA of domestic and globally sourced components.